SOLD! Off to Montana to ranch, rope (both ends!) & Barrel Race. 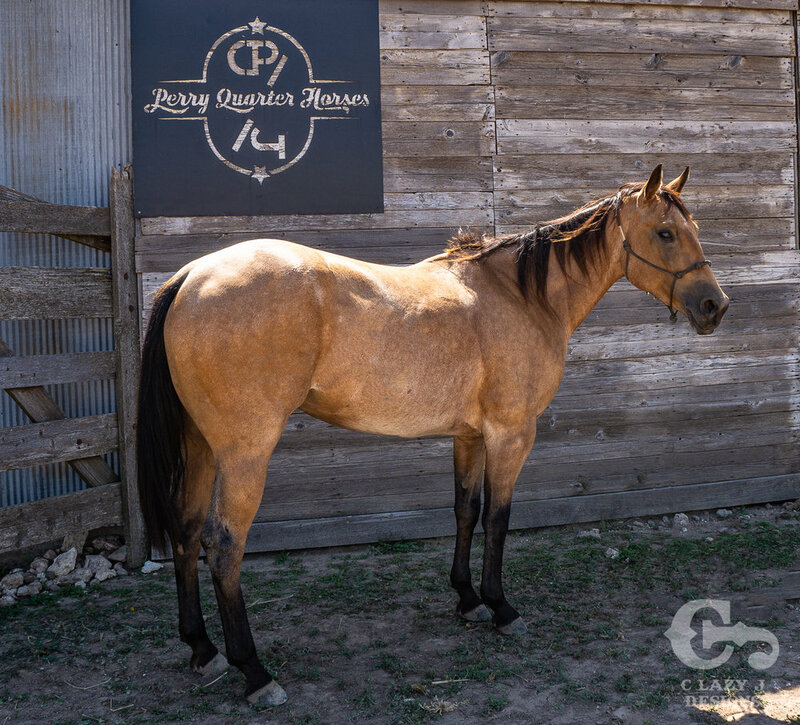 Skydusters Darlin “Mimi” is a 15h shapey, pretty made mare with 14 months of cow horse/versatility training and extensive ranch work. She has been hauled and shown in a couple Stock Horse & Versatility events as well as a small $ earner in Ranch Sorting. She knows all her reining maneuvers and is cool on a cow. Smart and wants to please. Sound, no vices, and UTD on vaccinations, shoes, worming etc. Our feed program is designed to encourage correct growth and set our horses up for long lives of useful soundness. PPE are welcome. She has been ridden and trained in many different headstall/bit set ups, including snaffle, hackamore, 2 Rein, and short shank corrections. Never worn a tie down. Not for a timid or inexperienced rider. Mimi has a big motor, speed, and uses her body to get the job done. For the knowledgeable rider, there is nothing more fun to ride. She is very well suited for high level Calf/Breakaway/Team Roping, Barrels, Poles, Sorting, Penning, etc. or continue her finishing and she would be great in Versatility Ranch Horse or Stock Horse. She would make a great all around HS Rodeo horse or College Ranch Horse Team horse for the right young person as she could be used for so many events. She has been used extensively on our ranch and is good outside. Has both pasture and pen roped plenty. She has not been patterned on barrels or roped out of a box, so if you are looking for a nice broke young prospect with no bad habits, she is a clean slate and a quick study. 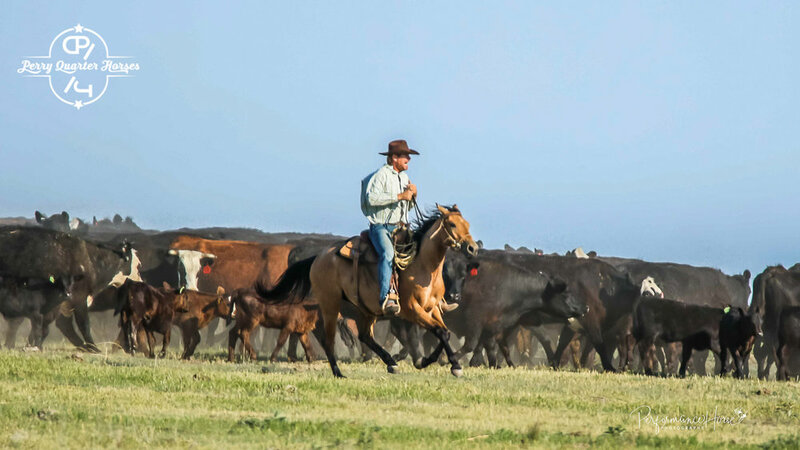 Over 95% AQHA Foundation Bloodlines & Completely Paid Up in the AQHA Ranching Heritage Program. They added both Team Roping and Barrels to the program this year with good added $$. She does have a cosmetic only scar on the front of her LH cannon bone. She stepped on herself in the trailer awhile back. It has no effect on her whatsoever, just want to disclose it. Below are her pictures and several video. Please watch them all to the end. We tried to give a fair representation of what she knows, how she moves, and who she is. Thank you!! Please call, email, or FB message us with any questions. We will be selective where this mare goes. We are traveling a lot this time of year and very busy with the ranch, please give us some notice to set a time to try her out. She will be turned out to pasture to rest or hauled with us when we are gone. I will add more pictures and video as I have time. Again, thanks for your interest.